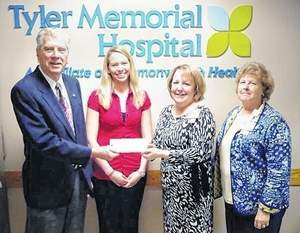 The Wyoming County Community Health Foundation, formerly Tyler Health Partnership, donated $6,000 to Tyler Memorial Hospital for confuting a shingles vaccination clinic for Wyoming County residents. Approximately 40 local residents received the vaccination at no cost during the one-day clinic, which was a follow-up to a two-day clinic held in November 2013 where more than 60 residents participated. By partnering with Tyler Memorial, the foundation covered the cost of the vaccines as well, for a total donation of more than $10,000. Photo: From left: Raleigh Bloch, chairperson (Tyler Health Partnership, now Wyoming County Community Health Foundation); Shealynn Shave, partnership assistant; Denise Gieski, CEO Tyler Memorial Hospital; and Gayle Gipson, director of education and volunteers, Tyler Memorial. This entry was posted in Uncategorized on June 25, 2013 by superadmin. The Wyoming County Community Health Foundation, formerly Tyler Health Partnership, recently awarded H. A.N. D.S. 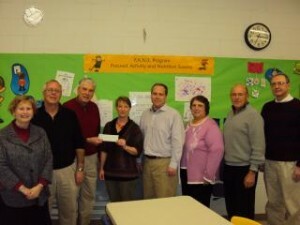 (Helping Area Needs for Diverse Early Care and Education Services) of Wyoming County a $5,000 grant for their Focused Activity and Nutrition Success Program (FANS). Last summer, area youths had an opportunity to learn about good nutrition and exercise habits through the FANS camp program. 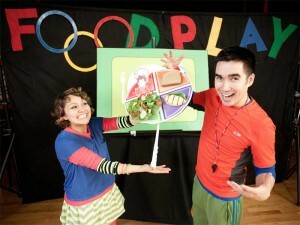 The program’s mission is to educate children on the value of exercise and healthy eating. Shown in picture(from left to right) are THP (WWCCHF) Directors, Ann Way, Pete Butler, Raleigh Bloch (Chairperson), Becky Corby (Transition Coordinator for H. A.N. D.S. ), Brian Grove, Carol Ziomek, George Gay, and Frank Oliver. This entry was posted in Uncategorized on May 9, 2013 by superadmin.